There’s a lot of reasons I like SNL. I love the talent, the laughs and the thought that anything can happen when they’re on stage. But, what I love most is seeing the guest stars show a different side to themselves. 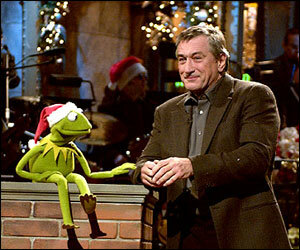 Seeing tough guy Robert DeNiro singing with Kermit the Frog warmed my heart and makes you realize he’s just another person. In fact, he kinda makes you want to hug him without fear. 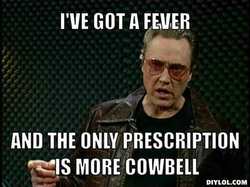 Watching the dead pan Christopher Walken ask for more cowbell made you see a side of him that probably made your sides hurt from laughing. Then there’s the time that Peyton Manning showed us he had a goofy side when he danced like a crazy man in the locker room with Will Forte. Sometimes, it takes us seeing someone in a different light for us to truly understand what they’re like. It causes us to reevaluate our current feelings of someone and change them. That’s exactly what photographer Sophie Gamand is trying to do. She’s a pitbull advocate and is using her skill as a photographer to help people see these dogs in a different light than they’re used to. Sometimes, it takes an artistic and different approach to change minds. Even if it’s just one person’s mind it’s worth it. Check out her take on pitbulls here. The pictures are beautiful, soft and invoke a sense of peace and calm. Just like pitbulls. Sometimes, the louder you raise your voice, the less people listen. It’s coming up with peaceful and creative approaches to changing others’ minds that is the most efficient way to make a difference. This entry was posted in Bonding with your dog, BSL, Cleveland, dog selection, dogs, Pit Bulls, rescue, shelter dogs and tagged canine training, child dogs, darwin dogs, dog aggression, dog behavior, dog reactivity, dog training, dog training near me, dog walking, dogs, dogs and kids, food aggressive, Food reactivity, leash walking, negative reinforcement, PAW Method, positive training, puppy kindergarten, puppy training, rescue, rescue dog training, training my dog by Danika Migliore. Bookmark the permalink.